Babyhouse Lane Settlement from the south-west. OS grid reference: SD 9719 4628. 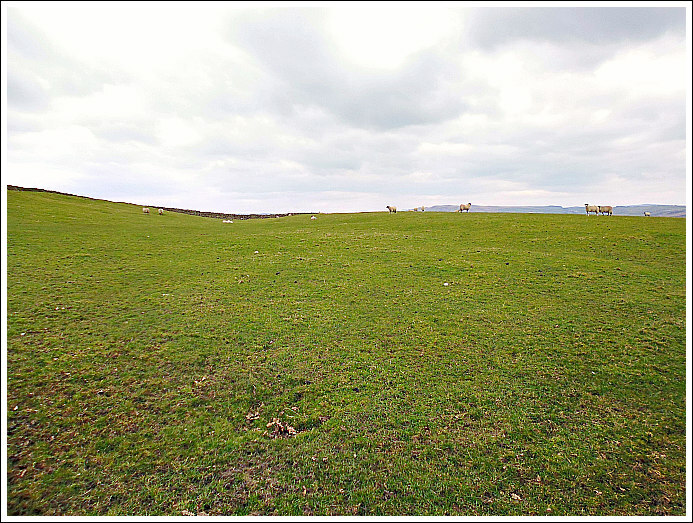 On the hills a mile or so to the south-west of Cononley, north Yorkshire, near the top end of Babyhouse Lane there is an Iron Age settlement or camp. This is thought to have been a Brigantian outpost that was still in use in the late 1st century AD when Roman soldiers marched along the Roman road to the south-west and set up their fort at Elslack. For a time the Brigantes got on to some extent with the Romans, but that was not to last for long and their settlements were soon to be abandoned, forever. Babyhouse Lane can be reached from Colne Road (A6068) near the Dog & Gun public house at Glusburn. Take the lane up onto Leys Lane, turning left at the top onto Babyhouse Lane, and then just after the junction of four lanes and the wooded area on the right, go through the second farm-gate and into the large walled field – here before you are the faint and grassy earthworks of the ancient settlement. Babyhouse Lane Settle-ment viewed from SE. At ground level there isn’t a great deal to see apart from a few raised areas (low ramparts) in the middle of the field and, what are probably ditches around the edges; and the earthworks continue just beyond the wall at the N side. This pentagonal-shaped settlement measures approx. 91m x 85m and covers an area of just over 1 acre. At the W and S sides the ditch is more prominent – just before the land rises forming the bank (which seems not to be part of the earthwork), while over at the E side there is what could be an entrance. The settlement appears to be strategically placed to overlook the Aire Gap to the north-west. And the modern-day walls surrounding the earthworks give this former Brigantian, possible Romano-British settle-ment, the look of “still” being an enclosed site, even if today it is only to keep the sheep in! Sadly nothing much else is known about this site. Babyhouse Lane Settlement viewed from the East. The late John Dixon in his work ‘Journeys Through Brigantia’ , Volume One, says of the settlement here: “Just down Babyhouse Lane, over on the left, are the earthwork remains of an Iron Age/Romano-British settlement site, the earliest home of man in the area, being a pentagonal dtched earthwork with an entrance on the east and covering just over one acre.” While the author and antiquarian Harry Speight considered the ancient settlement on Babyhouse Lane to be of Danish origins. There are indeed some Scandinavian place-names around this area. Cononley is named after King Canute, according to Mr Speight. 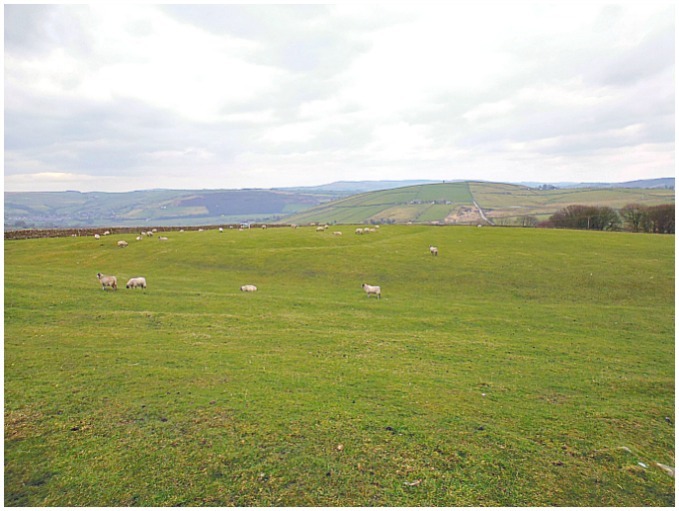 But it would seem that this is a late Iron Age-Romano-British site; and there are similar earthworks at Higher Scarcliff and Catlow Gill near Carleton Lane Head, a couple of miles to the north. Dixon, John & Philip., Journeys Through Brigantia, Volume One, Walks in Craven, Airedale and Wharfedale, Aussteiger Publications, Barnoldswick, 1990. 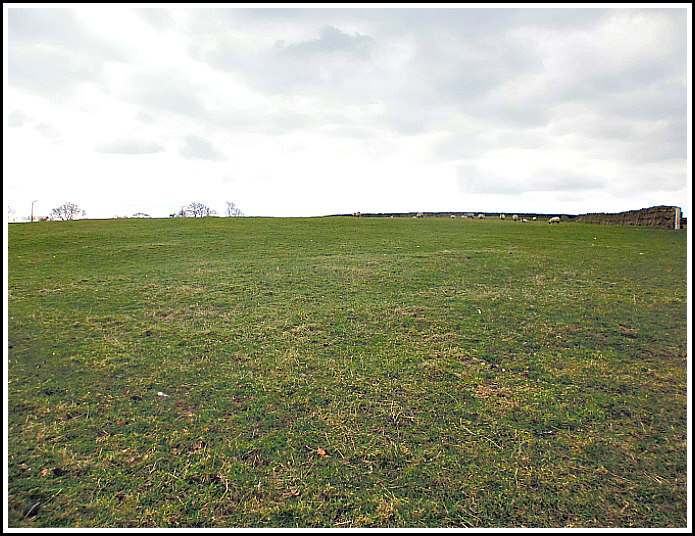 Categories: Ancient Settlements / Camps, Earthworks | Tags: Babyhouse Lane Ancient Settlement near Cononley in North Yorkshire | Permalink.